After five glorious days spent skiing, hiking, and drinking my weight in beer, I'm having a hard time adjusting to being back at work. I believe my first words upon entering the city last night were: "Ugh, so many smells and people." 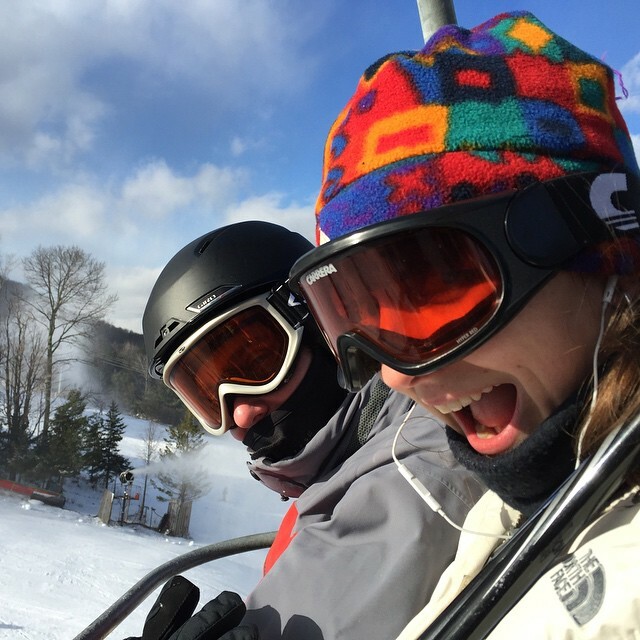 Mike and I decided to make a mini trip out of the New Year's break and head upstate with friends to Hunter Mountain. A place where my mother informed me, "Some lady died on the lift." Classic mom. Thankfully, there were no deaths during our trip. 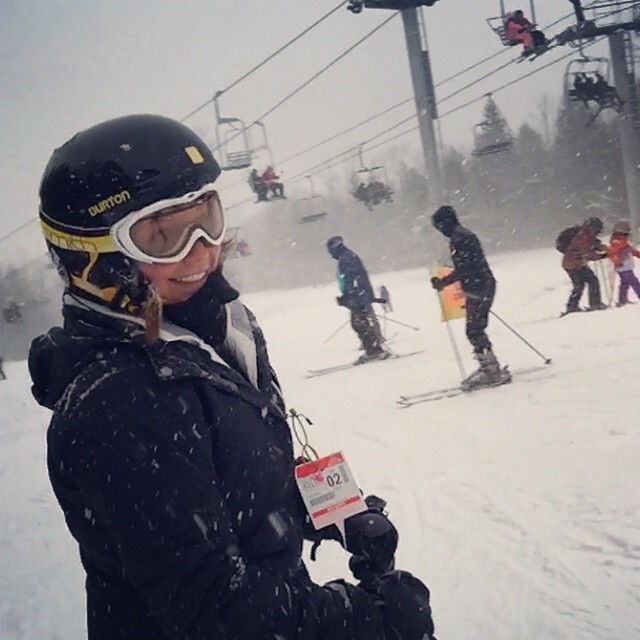 I finally got the hang of skiing and had an awesome time instead of my usual grit-teethed, eyes closed, plow position down the bunny hill. I believe I even "shredded gnar" on a few blue runs. Our crew also spent some time tubing down the mountain and hiking through the Catskills' ice-covered waterfalls. I wish I were still sipping spiked cocoa on the porch of our cabin, but since that's not happening again for a couple of weeks, let's reminisce with some pictures from my trip.